Becky is one of my best friends. She lives in San Francisco. For as long as I have known her, she spends an hour every Saturday at the wholesale flower mart. It's her special treat to herself. She has a very modest budget yet returns with bunches of colorful and fragrant flowers that she uses to create arrangements for her own apartment. Every room gets flowers! There’s nothing quite like what fresh flowers can do for a room. Most home stagers depend on faux plants and flowers for the sake of convenience and economy. But it’s summer now. 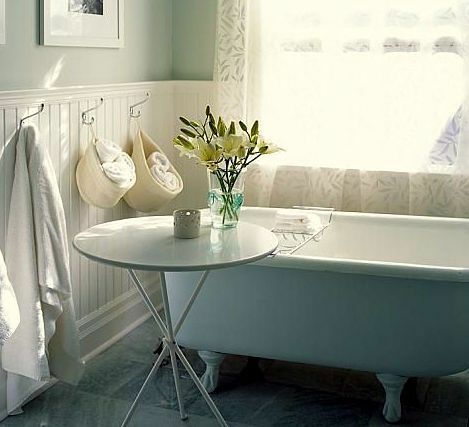 In summertime, many homeowners have flower beds or gardening friends with abundant blooms, so adding real flowers to your interiors might be easy and economical. In addition, at this time of year supermarkets and florists are more likely to have locally grown flowers that are priced lower than ones flown in from places like Holland, South America or Hawaii. So let’s take advantage of summer’s offerings, and delight the people touring your home with a vase or two of natural floral arrangements. You can spend less than $5 for a bouquet at your grocer’s and make it last two weeks or more if you know how. Just follow these dozen tips I’ve learned from Becky, from trained florists I know, and from what I’ve experienced and studied. Handle with care. 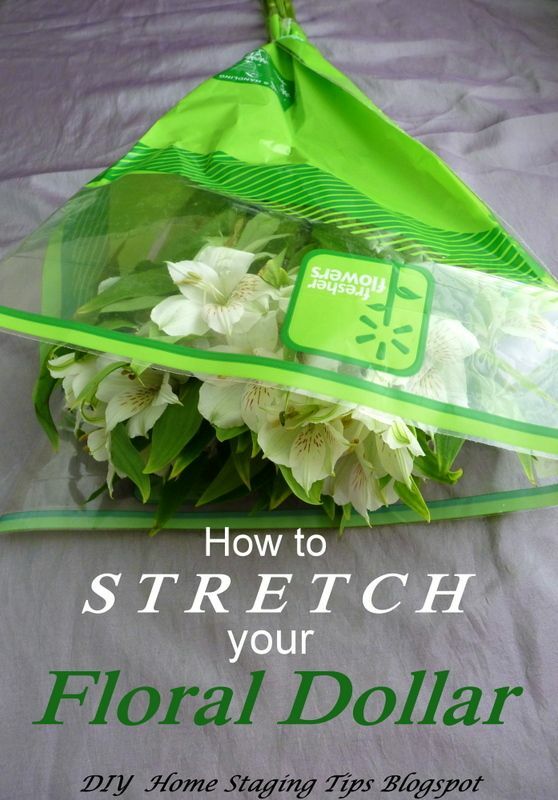 Keep your store-bought flowers cool and treat them gently. Carry them upside down to protect their stems. Photo: Gardenista. 1. Buy flowers when they have just arrived at the retailer (or wholesaler if you are lucky to live in a place like San Francisco, Los Angeles, New York City, or Seattle). 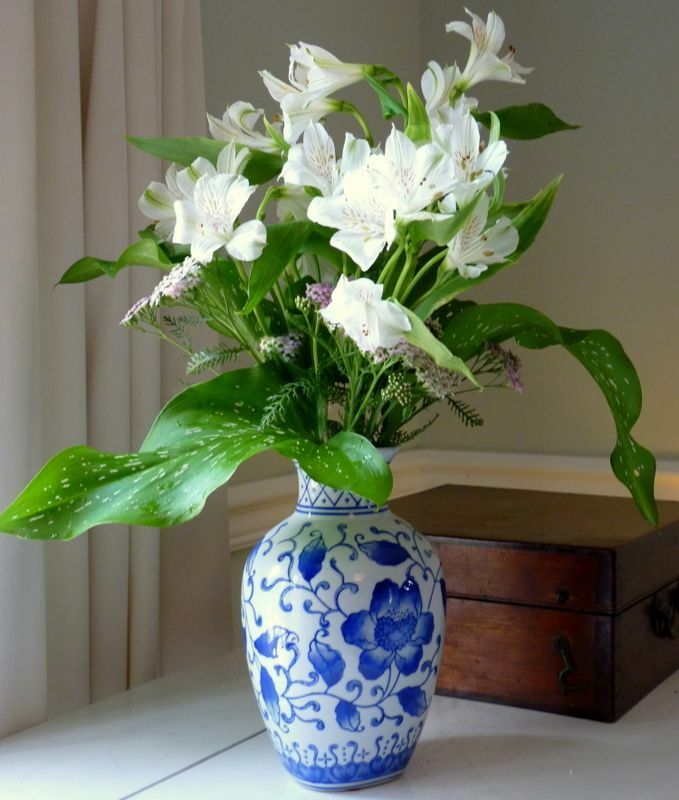 Examine the flowers, stems and leaves carefully and don’t buy anything that looks even a little limp, faded or browned. 2. Buy flowers that were grown locally instead of flowers that have been transported from other states and countries. They will cost less, last longer, and be environmentally friendlier. 3. Buy from a florist or floral department with a high turnover to get fresher flowers. If you usually purchase from the same source, ask when deliveries come in. I had a new arrangement that lasted another week. 4. 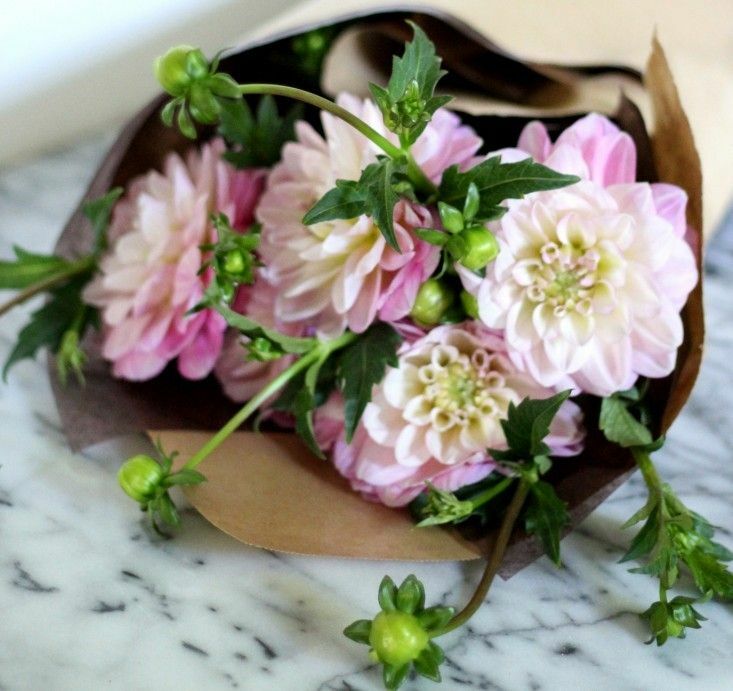 When you bring the flowers home, diagonally cut an inch off the stems and place in cool water. 5. 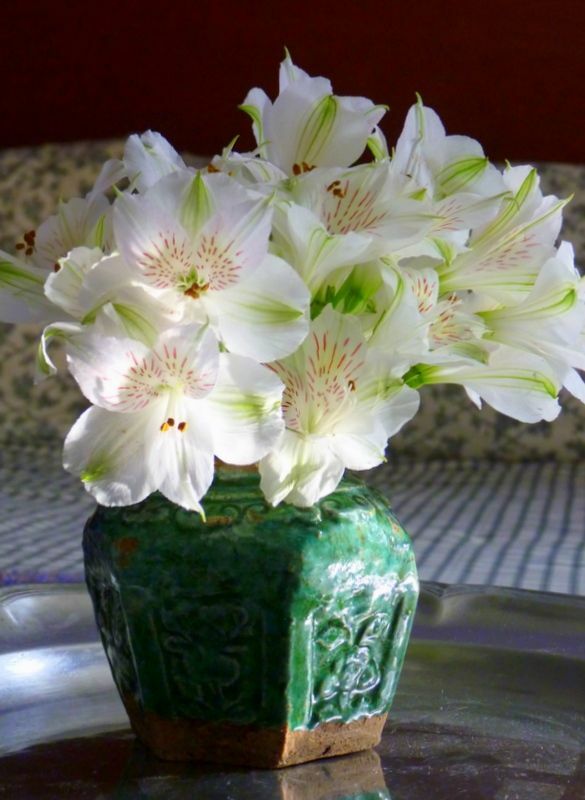 When you arrange your flowers, first wash your vase well with hot soapy water to be sure it is very clean. Rinse it well to remove any residual soap. 6. Then use clean water in the vase, and change the water every day. Research and most pros tell you that a change of water does more to prolong floral life than packaged preservatives or homemade remedies using things like aspirin, soda, vinegar, bleach or pennies. 7. Make sure no leaves are below the surface of the water. 8. Cut a little bit off the stem end when you change the water daily. 9. Choose flowers that last a long time, like carnations, alstromerias, fressias, gladiolas, gerberas, Oriental and Asiatic lilies, daisies, lisianthus, roses (purchased as buds), birds-of-paradise, and mums. 10. 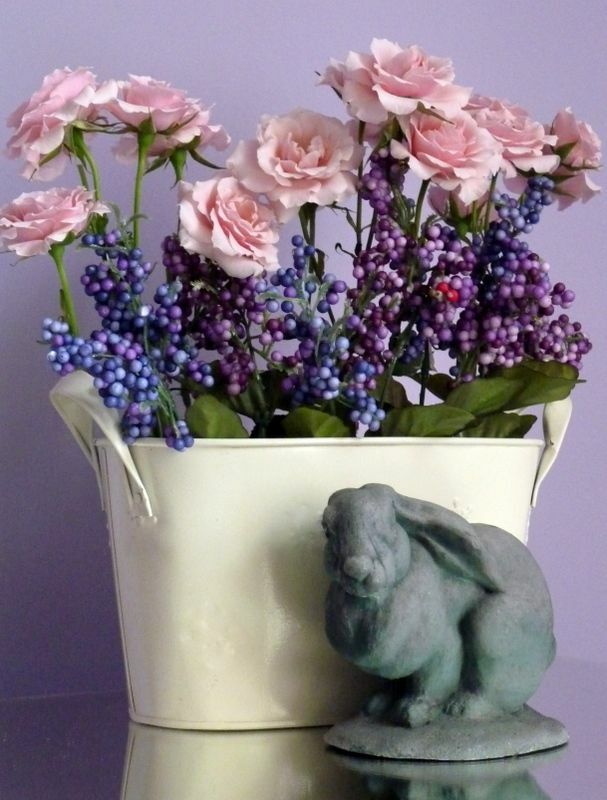 Place the vase where it will be away from heat vents, direct sunlight, or other hot spots. 11. Revamp the arrangement at week’s end, downsizing to a smaller arrangement. Nowhere is it written that you cannot mix real flowers with faux flowers! cost $4 a boost from some dollar store fakes. Try these methods and I think you’ll discover how much mileage you can get from a well-chosen bouquet. You’ll be able to add a fresh vibe to your staged rooms without breaking the bank. Thanks, Becky! If you order any of my info-packed $4.99 eBooks you'll learn other fashionable and thrifty ways to stage a home. They're indispensable whether you are staging your own home, or if you are studying to become a professional home stager.